There is a difference between worldly sorrow and godly sorrow, though both are deeply felt. You can feel genuine sorrow over something you have done. Your mind can become consumed with your failure and offense against God and others. Judas felt this kind of sorrow. He betrayed the Son of God for thirty pieces of silver, the standard price of a slave. Yet his sorrow did not lead him to repent and to seek restoration with his fellow disciples, but rather to a lonely field where, in his anguish, he took his own life (Matt. 27:3-5). Judas carried his sorrow to his grave. How different Peter’s sorrow was! Peter, too, failed Jesus on the night of His crucifixion. Peter also went out and wept bitterly (Luke 22:62). Yet Peter returned to Jesus and reaffirmed his love for Him (John 21:15-17). Peter was not only remorseful, he was also repentant. Peter’s life changed. There is no record of Peter ever denying his Lord again, even when he was persecuted and threatened with death. Peter repented, turned his life around, and never committed that sin again. Don’t allow mere unhappiness over what you have done to rob you of genuine repentance. You can blame yourself and be angry with yourself for the sins you have committed, but that is not repentance. Allow the Holy Spirit to reveal to you the gravity of your sins. Ask the Spirit to clearly show you how God views your character. 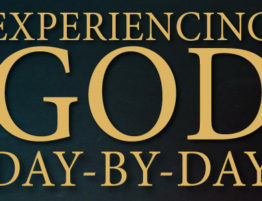 When you see your sin from God’s perspective, you will experience godly sorrow.